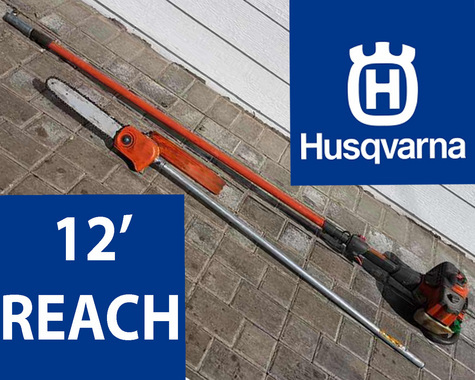 2 pce Husquvarna Pole Saw. Ideal for reach branches and small limbs. In very good condition. Oil/Gas mix.